This Norwegian storage box was turned from a single log in the first half of the 19th Century and decorated in traditional Norwegian motifs. It was brought to Dane County by one of the first Norwegian immigrant families to settle in the area. 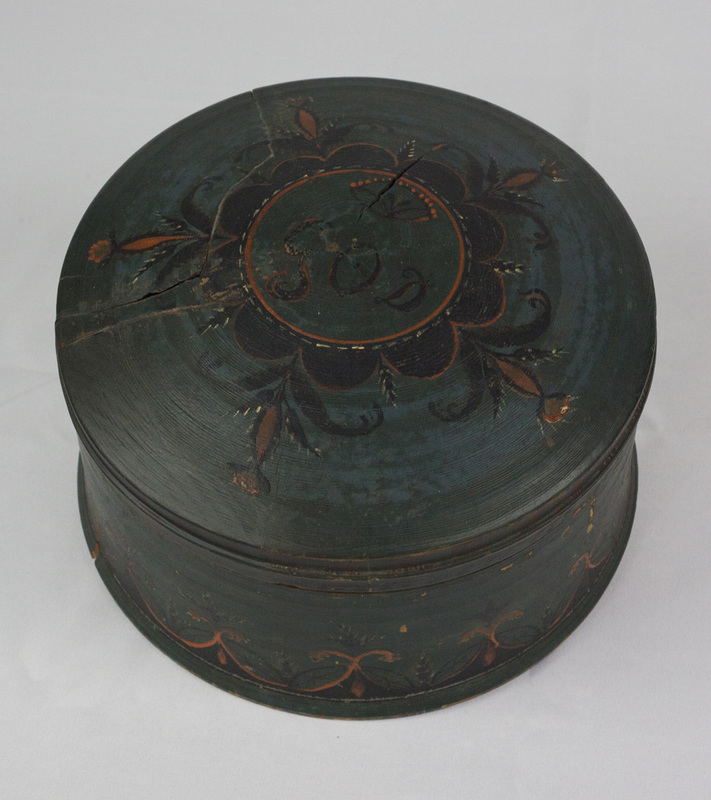 The initials “GOD” painted on its lid are believed to stand for Guri, Daughter of Ole. This treasured heirloom was passed down through the Thompson family.